Debates over prayers in Parliament or council meetings periodically emerge as another place where institutional secularism seeks to usurp institutional religion. The latest has been the English town of Bideford where a former councillor took Bideford Council to court over official prayers during meetings. The High Court ruled in his favour on what it described as a narrow point of law that it was not legal for councils to make prayer part of official business. Some are seeing the ruling as having wider ramifications as secularism continues to reframe the nature of our societies. 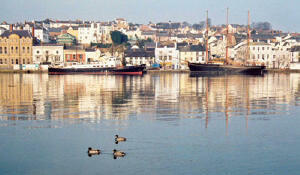 Bideford may yet become a byword for a nation and nations loss of spiritual identity. Posted in Church, Culture, News, Religion, Society.Tagged Bideford, Guardian, prayer.